I CAME late to The Prisoner, the TV series for which Patrick McGoohan will inevitably be best remembered. It was 1989, and a friend encouraged me to watch the whole series which he had just bought on VHS. So I did. I considered it dated, a bit pretentious, dull at times. I also thought it was utterly addictive, and I couldn’t wait to see the final episode where all the mysteries would be explained. What a disappointment! I once read that McGoohan even received threats from fans who were enraged at the inability of the series finale to answer a single question without creating at least two new, unanswered ones. I seem to remember there was something about a man in a monkey mask and an articulated lorry carrying a cage. The Prisoner was genius, of course, whatever the verdict on the 17th and last episode. It did what very few, if any, TV series had dared to do before or since, and explore the complexity of the relationship between the individual and society, or the individual and the state. Whatever, it was always about the individual. “I am not a number – I am a free man!” the rebellious Number Six (McGoohan) would shout at the start of each episode, just to remind the audience that his protagonists wanted to compromise, or take away completely, that individuality. Okay, enough of the obsessive fan stuff – the real reason I felt I wanted to pay tribute to McGoohan is not, in fact, because of The Prisoner; it’s because of Columbo, and because Columbo is Carolyn’s all-time favourite TV show. He had many other roles, one of the most memorable being Edward I in Braveheart (1995). But as I said, it’s The Prisoner which will be his cultural legacy. There have been a number of attempts to remake it (sorry, we’re supposed to call them “reimaginings” now, aren’t we?) for both the small and the big screen, and I recall reading that a new version will find its way onto our TV screens this year. Always a risky proposition, especially when the original is still regarded with such affection by so many people. But there’s no doubt that the themes The Prisoner explored are at least as relevant today as they were in 1967, so who knows – it could be successful if done properly. McGoohan was one of a rare breed who had the luxury of dictating exactly the kind of roles he wanted to do. He was a successful writer and director, and as well as creating one of the most iconic fictional characters of the 20th century, was rare in Hollywood circles by enjoying a 57-year long marriage; he is survived by his actress wife, Joan Drummond McGoohan. ... and as the murderous Nelson Brenner in the 1975 Columbo episode, "Identity Crisis"
WHEN I was sacked as a minister, I decided I didn’t want to be pigeonholed as “that MP who talks about trains”, which is why my first PMQ since was on a completely unrelated subject. Nevertheless, there are occasions when it’s hard to escape the fact that in two years I managed to pick up one or two bits of knowledge about the industry. Which is, presumably, why I was asked to go on Newsnight Scotland (or Newsnicht, as it’s sometimes known by the jaded and cynical, ie, me) last night to discuss the prospects of high-speed railway lines ultimately linking Scotland with London. So here we are, if you’re interested. Sorry it took so long to post, but this YouTube uploading lark is trickier than I thought. SO, THE eleventh Doctor will be played by Matt Smith. Good choice, I think. Bit young, maybe? But there’s something old about him too. Weird enough to impress. So, I can relax now. Well done, Grand Moff. WHAT a spiffing wheeze, those oh, so talented and clever Channel 4 executives must have thought. Have Mahmoud Ahmadinejad, that well-known Jew-hater and president of a nation that funds terrorist attacks on British troops, give the alternative Christmas message! Fantastic idea! And of course, it does: after all, how on earth will Channel 4 be able to trump this next year? Having offended so many people in one fell swoop, who can they book for the Christmas Day 2009 slot who will offend even more people? Assuming Osama bin Laden’s agent still isn’t passing on messages, who can they get? Peter Sutcliffe, perhaps? And no, I’m not making an attack on free speech; I’m not suggesting Channel 4 should not have the right to book anyone they want for their silly little self-indulgent three o’clock slot. I’m merely exercising my own right to freedom of speech by suggesting that offering a platform to someone who thinks Israel should be wiped off the map, and whose country actively funds Islamist terrorism, is disloyal to one’s own nation and amazingly irresponsible. But hey, that’s Channel 4 for ya – irreverent and whacky, those rascals will just keep on “challenging our preconceptions”, as they themselves might describe it. The rest of us would probably prefer to call it pathetic attention-seeking. FORGIVE my using this site to do some trawling for vital – though some might say trivial – information. You may remember a BBC TV series in the 1980s called A Very Peculiar Practice, starring Peter Davison. It was set in a medical centre on a “modern” university campus and remains one of my all-time favourite shows, brilliantly acted by Davison and the other cast members, with superb writing by Andrew Davies. So I recently decided it was time to watch it again, and started searching for the DVD on the web, as you do. And here’s what I found: only season one has been released, and if you can find a copy it’ll cost you eighty quid! Now, it was a brilliant series, but not that good! So, what’s going on? Why weren’t both seasons (and the one-off sequel, A Very Polish Practice) released? And why are copies of season one so apparently rare that they cost more than the seven-season boxset of The West Wing? If anyone has any information, I’d appreciate it. Thanks for your time. I’ll be off now. 2201: ALL the finalists have performed their three standards, Boyzone, Westlife and Beyonce have made their guest appearances, so now I’m waiting with bated breath to find out who’s being knocked out and who’s going through to the head to head. So come on, Dermot, tell us wee Eggnog’s out. 2201: JLS are through! Please, please don’t let Alexandra be out – that would be disgraceful. 2202: Yes! Sorry, wee Owen, you’re a nice guy but you’re not a singer. A proper final now. Surely Alexandra has it wrapped up. No-one has ever won The X-Factor after finishing in the bottom two during the live finals which, from memory, JLS have done at least once. 2205: Owen’s crying now. Can’t blame him. But i wish Simon would stop saying he’s representing Northern Ireland tonight, he’s doing nothing of the sort, it’s not a regional competition. 2206: Carolyn has asked me to admit that she called this line-up in the final – JLS and Alexandra – at the start of tonight. 2207: JLS are back, singing “Hallelujah”. They’re definitely the strongest group we’ve ever seen in the competition, but there’s no way they can beat Alexandra. Is there? 2211: Louis is shameless in his touting for votes for his act. None of the other judges do that. 2212: Just realised that “Hallelujah” will be the winner’s single! Should have been paying more attention. Didn’t Diana sing that at boot camp? 2216: That’s it, then. Wonder when the lines close? 2217: Sheryl’s greetin’ again. Has there been a week when she hasn’t? Pet lamb! And Smon has just said Alexandra’s going to win! And he should know. 2220: “As well as talented,” Carolyn just added. 2225: It’s back! And btw, Beyonce was fantastic. Certainly put Britney’s appearance in the shade. She didn’t even know what show she was appearing in. 2227: Just been told I spelled Cheryl’s name wrong. The misspelling of Eggnog was deliberate, btw. 2229: Nine minutes to go. Nine minutes? What are we going to do for nine minutes? 2231: Just been reminded that Alexandra’s cover of “Toxic”, singing live, was miles better than Britney’s mimed version of “Womaniser”. 2234: I can’t get through to vote! It’s constantly engaged! This is just like Florida 2000 all over again! 2235: Okay, panic over – I got through. Call off Warren Christopher. 2239: Lines are now closed! 2240: The Mayor of Islington is really hogging that camera angle. 2241: Eight million votes? Good grief! 2242: Yessss! (Punching the air and nearly knocking my laptop off my knees). Hysterical sobbing and girly tears from Alexandra and Cheryl. 2243: For crying out loud, love, cheer up, you won! 2244: Dermot’s trying to get a coherent word from Alexandra. Now someone’s run on stage and shoved a mic into her hand. She’s just dedicated her next performance to me personally, which is nice. 2245: One final thought – didn’t Cheryl do well in her first year as an X-Factor judge and mentor? At least two years since the old hands Simon or Louis won. And that’s it until the auditions for X-Factor 2009 start to be broadcast next August. So, wonder how I’ll fill my time in the meantime? SO DIANA survives to the semi-final, and I was relieved because I feared a backlash against the 17-year-old was building. 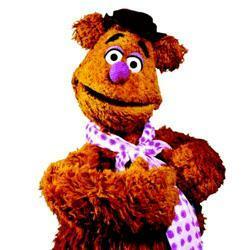 Also, Carolyn spoiled my enjoyment of her singing by pointing out that she sounds like Fozzie Bear and now I can’t listen to her without seeing the Muppet stand-up in my head. Still, good result. Ruth’s time had come and the new favourite must surely be Alexandra, who really is amazing. And don’t you think there’s some similarity in appeal between Eegan (pronounced “Eegan”) and Gareth Gates? And remember what happened to him when the final of Pop Idol came around. Who lives in Nuneaton anyway?